The Built on Stilts Dance Festival is comprised of work by members of the Vineyard community and by professional performing artists from the island, Boston, NYC, Philadelphia, DC, and beyond. MFDC is delighted to be performing at the Allegheny Avenue Arts Festival for the 2nd year in a row! Megan Flynn & Sarah Braviak will be performing a new duet. Megan specializes in teaching intermediate-advanced level ballet technique for contemporary dancers. Her somatic approach encourages dancers to connect with their breath, pelvic floor and core support while performing complex sequences that emphasize musicality and spatial awareness. Starting with barre work, and continuing through center practice with adagio, pirouettes, petit and grand allegros, dancers will develop greater awareness of their dynamic alignment in order to maximize physical expression, and discover greater ease in movement. Big, bold, luscious dancing, from the inside-out. This class is geared toward professional dancers, recent graduates, college dance majors, dance educators, and anyone craving a ballet class that encourages experimentation and risk-taking within a supportive community. $10/class for students, professionals and Philadelphia dance card members, $12/class for drop-in. Pop-Up Performance on East Passyunk: Snow update! 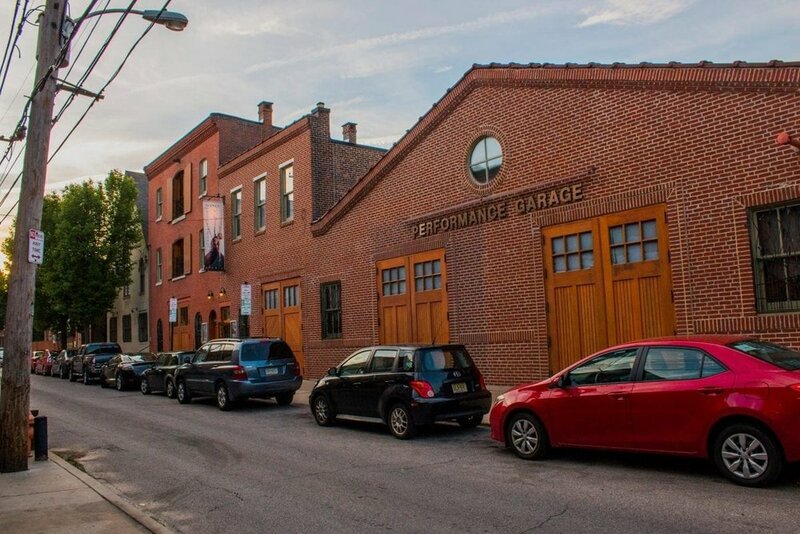 We're more stubborn than snow... come to Sweat Fitness (1509 E. Passyunk Ave) at 3:30p for an indoor pop-up performance by MFDC. 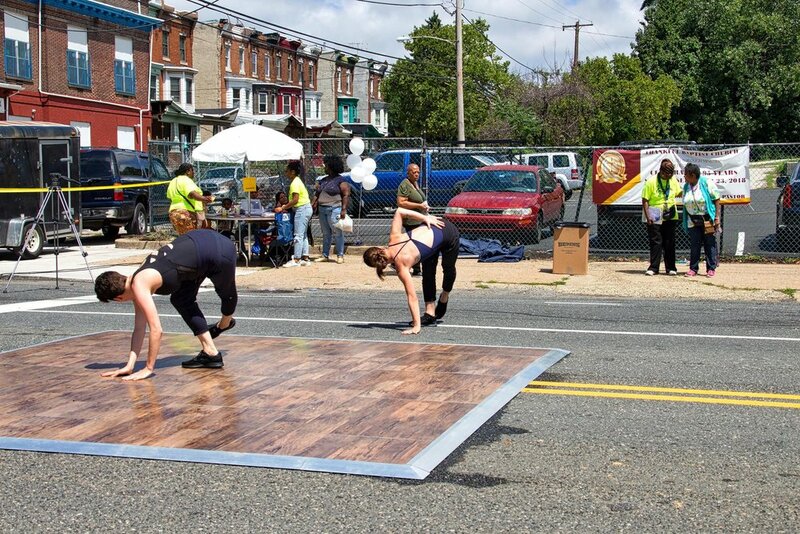 Megan Flynn Dance Company will perform excerpts of company repertory from the 2016-2017 season with “A Piece of This Place: A Pop-Up Performance” during the Second Saturday festivities on East Passyunk Avenue. 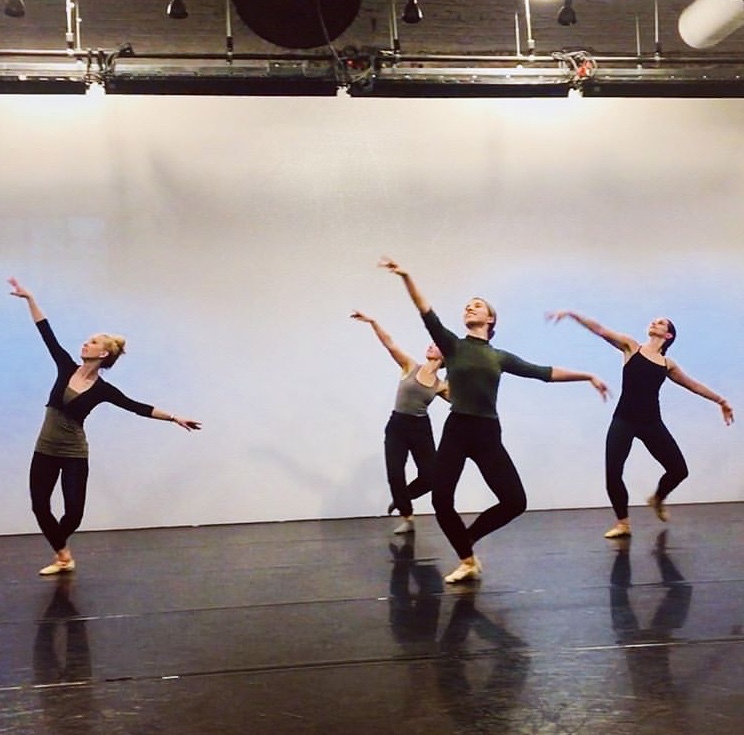 The company will perform “We’re all a little bit stubborn” featuring original music composed by Alan Terricciano, which premiered at the Conwell Dance Theater during the 2016 Philadelphia Fringe Festival. The pop-up also marks the Philadelphia premiere of “All dreams collapsed in one second”, a duet selected for performance at the Actors Fund Arts Center in New York City this year. MFDC has been invited to perform an excerpt of "We're all a little bit stubborn" at the Fourth Annual Come Together Dance Festival at the Suzanne Roberts Theater in Philadelphia. MFDC is delighted to be performing at the 3rd Allegheny Avenue Arts Festival on 8/5/17 at 12:05pm. Georgia E. Gregory Interdenominational School of Music is a music & performing music school located at 1628-30 W. Allegheny Avenue offering music instruction on piano, keyboard, guitar, woodwinds, voice, percussion, instruments & Ballet , Hip Hop and Praise dances. GEGISOM 'S founder, Joyce Drayton organized The Allegheny Avenue Arts Fest partnering with Thankful and many other churches and organizations to showcase the talents of the youth and adults in the community. It is a day to promote the arts. MFDC will perform three Pop-Up performances, A Piece of this Place, during the summer of 2017. Watch out, Philly! 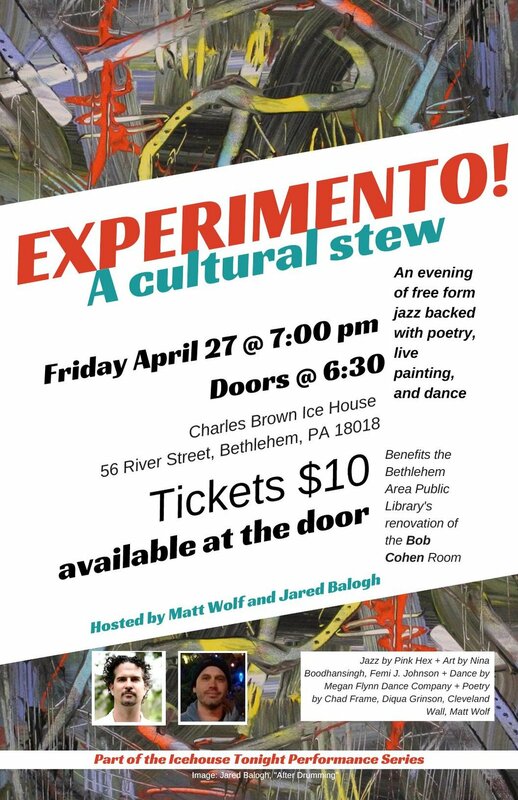 This project was made possible by funding from Project Stream, a grant initiative of the Pennsylvania Council on the Arts that isregionally administered by the Greater Philadelphia Cultural Alliance. Additional support for Project Stream is provided by PECO. Founded by West Park Cultural Center in 2008, the West Park Arts Fest is celebrating 10 years and moving to the Avenue of the Republic near the Please Touch Museum. This site is adjacent too the Centennial Commons – an exciting public space project under construction by Fairmount Park Conservancy as part of Philadelphia’s Reimagining the Civic Commons initiative. Fairmount Park Conservancy and Global Philadelphia have joined West Park Cultural Center as organizers for this free public event advancing the festival’s mission to bring communities together in the park, promote greater awareness of the area’s history and heritage while celebrating the arts and cultural diversity of Philadelphia. The festival embraces partnership and has over the years been made possible in great part to the participation of many arts, cultural and community partners from West Philadelphia and across Philadelphia. On Saturday June 3rd from 12pm to 5pm attendees of all ages will enjoy two stages of exciting culturally diverse performances by some of the area’s best dancers, musicians, vocalists, and spoken word artists. Some of the talent will include the popular West Philadelphia Orchestra, Badd Kitti, Gretchen Elise Music, Megan Flynn Dance Company, Academy of Classical Indian Dance, Jasmin Yahne Dance Company, Clowns Without Borders, and much more. The event will invite participation in dance, collaborative painting with WEPAINT, free guided historical trolley tours through the Centennial District, heritage storytelling with Global Philadelphia, children’s activities with the Franklin Institute PACTS Program, Tree House Books and more to be announced. As part of the celebration, Fairmount Park Conservancy’s Arts & Culture Program, with the support of ArtPlace America, has commissioned artists to create special installations and interactive elements that draw their inspiration from the neighborhood, the park and the history of the 1876 Centennial. Festival goers will see a standing timeline created by Global Philadelphia that documents Parkside’s history and heritage with pictures and text. Megan specializes in teaching intermediate-advanced level ballet technique for professional contemporary dancers. Her somatic approach encourages students to connect with their breath, pelvic floor and core support while performing complex sequences that emphasize musicality and spatial awareness. Starting with barre work, and continuing through center practice with adagio, pirouettes, petit and grand allegros, dancers will develop greater awareness of their dynamic alignment in order to maximize physical expression, and discover greater ease in movement. Big, bold, luscious dancing, from the inside-out. MFDC will present an excerpt of "We're all a little bit stubborn" (2016) in the upcoming Koresh Artist Showcase. Created to provide emerging performing artists with a platform for presenting artistic work, the Showcase series brings you all that makes Philadelphia performance great: variety, skill, full-throttle energy, and unexpected voices. Get your ticket to see a curated lineup of diverse works created by our NY artists during National Choreography Month! 31 days of dance-making culminate in these spectacular two performances. What can be created in 31 days? Each January, NACHMO challenges choreographers, dancers, and movers of all types to create a new dance piece in one month. This winter, 272 people in over 40 cities took the challenge, sharing excerpts of their work and process on social media and in live events across the country. These shows feature a curated collection of diverse works crafted by New York choreographers for the NACHMO challenge. (Full disclosure: after being selected for these shows, the choreographers had an extra three weeks to rehearse and polish their newly made creations.) Both nights will include a premiere by NACHMO's 2017 featured choreographer, Mark Travis Rivera. Come be inspired, and then party with us afterward at the Brazen Head bar, where your program will get you a drink discount and we'll auction off two tickets to the Auction Project on Friday and one ticket to the DanceNYC Symposium on Saturday. MFDC was invited to present our newest duet, "All Dreams Collapsed in One Second" at the Actors Fund Arts Center. MFDC performs alongside experimental musical ensembles Pink Hex (Lehigh Valley) and Ningen Kiki (Poconos) at the Re:Find Gallery 724 in downtown Allentown. The Gallery is currently presenting, "For The Risk of Everything," an art show featuring work by Jared C. Balogh. Along with her “stellar group of collaborators” (Broad Street Review, 2015) Flynn tackles the complexity of stubbornness and how it shapes individuals and relationships in “We’re all a little bit stubborn”. The performance will feature an original musical composition by Alan Terricciano. MFDC will be performing at La Peg on Monday, March 7th as part of the FringeArts' Fringe Festival Registration Launch Party/Happy Hour! Megan Flynn & Randall Anthony Smith will be performing a duet in the Muhlenberg Faculty Cabaret, a fundraiser for the Muhlenberg Theatre Department's Senior Showcase in New York City. FringeArts and Reading Terminal Market have partnered to present local artists in Fringe in the Market! Come see excerpts of "Dances with Socks" performed by the Megan Flynn Dance Company. Socked, slippered, or barefooted, Megan Flynn’s fully embodied, physically articulate dancers come together to ask: “What makes a perfect fit?” Featuring Sarah Braviak, Megan Flynn, Randall Anthony Smith, and Meredith Stapleton in a series of solos and duets. Megan Flynn Dance Company will perform in the Koresh Artist Showcase with "She is Standing" and "Greener Pastures" on November 14th (7pm, 9pm) and November 15th (6pm).